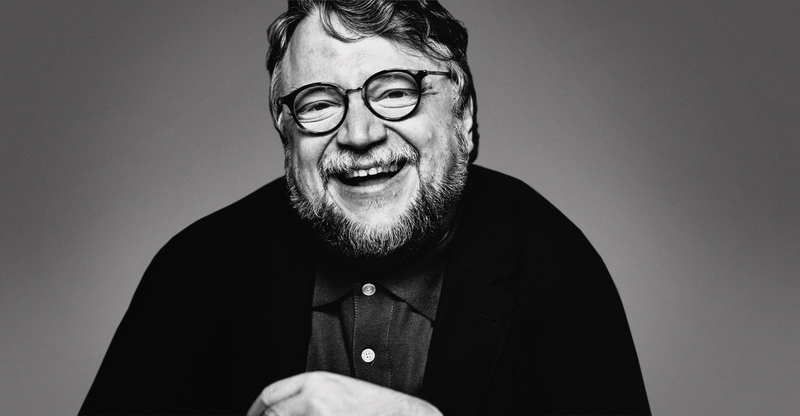 Mr. del Toro, have you ever had a paranormal experience? I saw a UFO when I was a teenager! And I have heard two ghosts in my life. I reacted with great fear! I was very scared to see the UFO in the sky! It really gives you a sense of how all the natural rules can break… Suddenly you’re in front of something that is impossible, so your first reaction is shock. Has your relationship to the paranormal changed since then? To a point, yes, but the love I feel for ghosts and monsters is the same. I am in love with monsters in a way that is very intimate and spiritual. I am still moved by the creature of Frankenstein, by all the classical monsters in a way that is very close to religion. It is my system of belief! I can tell stories that are intimate or spiritual with monsters, and I have no problem. To me, it is not a postmodern exercise. I am not meta; I am really earnest. What would you say is the spirituality of monsters? They represent everything outcast. I can be an outcast by my race, by my gender, by my sexual preference, my politics, whatever — but monsters are simply outcasts. And that is pertinent in the Shape of Water where you see a world that is dreaming of the future, but at the same time, that has racial tensions; where it is very easy to hate. This creature is sort of a complete outcast, invisible… So, monsters are the patron saints of the outsiders. But we also apply the term “monster” to the truly evil people of society. How do they fit in to that narrative? Actually, what to me is profoundly scary about humanity is that when we call someone a “monster,” we are talking about their spirit. And what is beautiful about movie monsters that they are physically different, but spiritually to me they are very tender. Michael Shannon’s character is the real monster of the story in Shape of Water, whereas it is the beast that awakens Eliza’s true nature. It reminds her where she comes from and what she is, as opposed to the traditional way where she kisses the beast and the beast transforms into a prince. A look at some of del Toro's most iconic film work. So the monstrosity of the film doesn’t always need to be literal? Right. The real monstrosity in Shape of Water is the monstrosity of the soul. In my next film, Fantastic Voyage, the monster is the body: the body is a monster, but at the same time it’s a miracle. I mean, the interest in monsters can be simply to transport people, to have them believe in something that is not real. For me, the Shape of Water has one creature — that took us close to three years to make. It is the longest time I’ve ever taken to design a creature, and it needed to be on screen for almost an hour s there needs to be an actor as well. It was a very different design process. The two creatures that have taken the longest are Hellboy with Ron Pearlman’s make-up and this one. People sometimes say “Hellboy is Ron Pearlman painted red,” — no. It is incredibly complicated make-up! It should have won an Academy Award. It is one of the most beautiful prosthetic make-ups ever made. A new version of Hellboy directed by Neil Marshall is set for release next year. Does it bother you that your franchise is being taken over by someone else? The thing is: you have to let those things go. I created the first Pacific Rim, for example, but I don’t own the franchise. It’s the same with Hellboy; that was created by Mike Mignola. I adapted it twice, but it is his baby. So, it is not up to you. What about with a film you wrote the screenplay for — like Pan’s Labyrinth? Oh, if someone tries to make a remake of Pan’s Labyrinth, they can’t. I won’t allow it! (Laughs) But in the end, I am very grateful for the films I’ve made. I’ve been able to make movies for $1 million and I’ve been able to make movies for $195 million. I can do what I want in different sizes for different reasons. I have been able to do 10 more movies than I thought I would ever make! I have had a 25-year career and I am as weird today as I was when I made my first movie! Have you gotten better at navigating the Hollywood system over the years? Well, I have written 24 screenplays, and I have made 10 movies. So 14 movies never got made! And in some instances like Mountains of Madness, for example, they have a year of design and prep. But that’s part of the business: the only thing you can do is wait. With Trollhunters, we finally made the TV series after eight years of waiting. Hellboy took eight years. Shape of Water took six years. Early on, I learned that you need to have more than two or three projects because if one doesn’t happen or one falls through, another one will work out. How do you deal with the heartbreak when one doesn’t happen? Oh, you want to commit suicide! You never get over it! Never get over it. When you have a 30-year career, you can get better at it, you can start to expect when these things will happen… So when I’m designing, I always try to not to get too crazy because I know it could happen that it doesn’t get made. But I can get into a deep depression for a long time when that happens. Sometimes it almost takes you out! The collapse of Mountains of Madness really took the wind out of my sails. It depends on how much time you put in the movie: sometimes you don’t even wait, you move on really quick. But in the end, you always recuperate.